Fly direct from Boston to any of these dreamy destinations. It’s rough out there, folks. And with nearly two more months of frigid temps on the horizon, there’s no time like the present to start planning your sunny postnuptial escape. In need of ideas? Read on for five of our favorite warm-weather honeymoon getaways for 2019, all just one flight away. 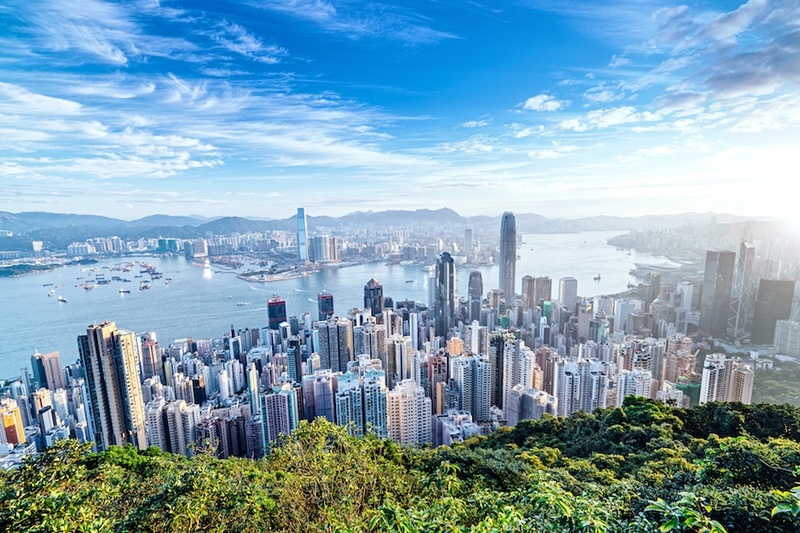 At once an urban escape with skyscraper-filled vistas and a tropical oasis with beautiful beaches, waterfalls, and marine parks, Hong Kong offers the best of both worlds. Enjoy a taste of luxury at the new Victoria Dockside: a $2.6 billion, three-million-square-foot waterfront art and design district that fully opens later this year with fine dining, exhibit spaces, events, green space, and more. Alternatively, hop on a ferry or bus to Thai O, a small but scenic fishing village of stilt houses and seafood shops. Sunny Mediterranean skies, dreamlike Gaudí architecture, and sprawling markets overflowing with fruits, veggies, meats, and sweet treats? Yes, please. Book your stay at the five-star Edition hotel, which opened last fall. The lavish property offers rooms with Spanish leather headboards and Anichini linens, a hidden late-night supper club, and a rooftop lounge featuring a pool with skyline views. Hit all the must-see stops such as Gaudí’s La Sagrada Familia temple and The Museu Picasso, and ramble through the city’s Gothic Quarter and Park Güell. Then take a day trip to one of more than a dozen area beaches or Cadaqués, a seaside village at Spain’s easternmost point. Once the home of Salvador Dalí, Cadaqués is a haven of winding cobblestone streets, whitewashed buildings, and bright blue waters. Savannah proves that you don’t have to jet off to a faraway locale to enjoy the honeymoon of your dreams. Southern hospitality and historical charm come in spades in Georgia’s oldest city, where oak tree-filled parks and cobblestone streets await. 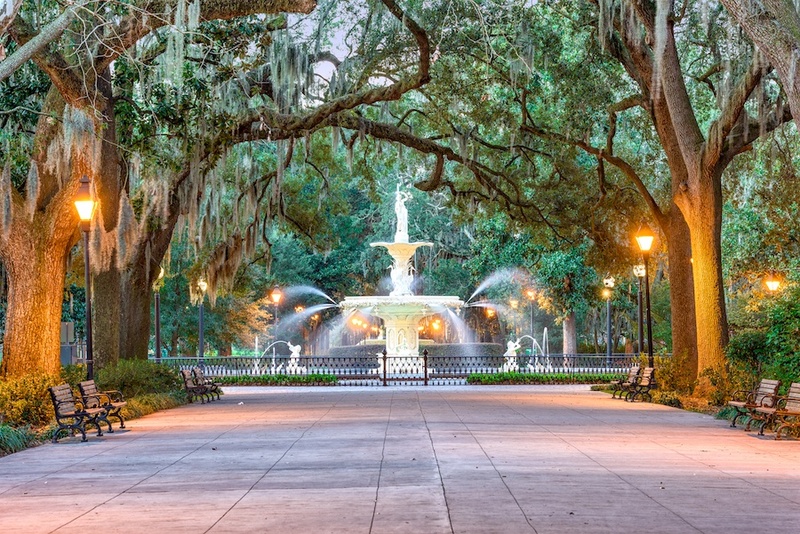 Stroll around the downtown historic district—packed with museums and centuries-old homes—then pop over to Forsyth Park to explore 30 acres of greenery, walking paths, and recreation areas. For a romantic day trip, take a 25-minute drive to Tybee Island: You’ll find five miles of public beaches, bike tours, kayaking, and the 145-foot tall Tybee Island Lighthouse, which boasts panoramic views. Though still recovering from the devastation wreaked by Hurricane Maria in September 2017, the Caribbean island, which depends heavily on tourism, has revived its hospitality industry. In the hurricane’s aftermath, accommodations in and around San Juan such as Dorado Beach, the Caribe Hilton, and the El San Juan Hotel now boast major renovations. Drop off your luggage at the hotel of your choice, then tour the 29,000-acre El Yunque Rainforest or take a trip to the Bacardi rum distillery. Looking for a different kind of adventure? Consider giving back to the community through service: Nonprofits like Para la Naturaleza offer travelers a chance to visit Puerto Rico’s most picturesque spots while pitching in with volunteer activities such as planting trees, maintaining vegetable gardens, or helping out with coastal cleanup. In less than the time it takes to drive to New York City during rush hour, you can hop on a plane and find yourself in an otherworldly setting in the middle of the Atlantic. 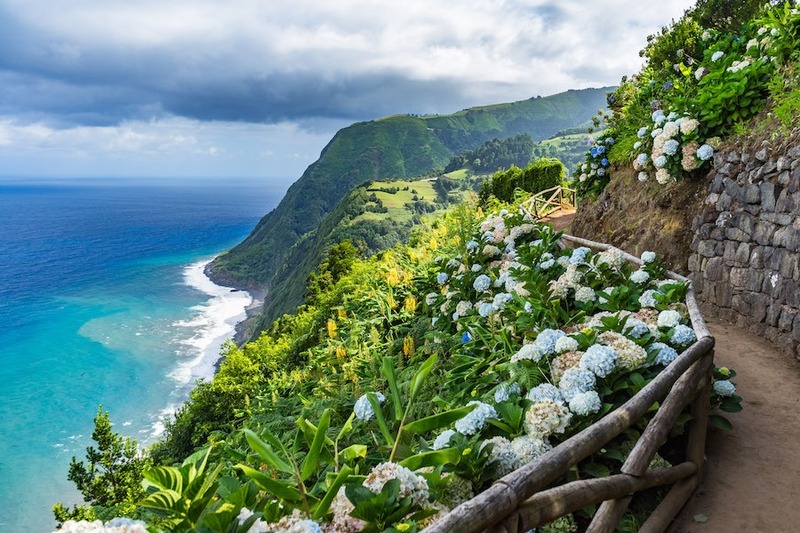 Honeymooning in the Azores means true serenity. Stay at the recently renovated Grand Hotel Açores Atlântico—a stunning five-star hotel in Ponta Delgada, the capital city, with views of a neighboring marina. Outside of the city and beyond the islands’ other villages, much of the lush landscape is untouched. Bathe in geothermal hot springs, explore lava tubes that descend into the earth, and pay a visit to Lagoa do Fogo—a jaw-dropping crater lake on São Miguel Island.